Dr Wei Hua CAI is a general practitioner in Darlinghurst. 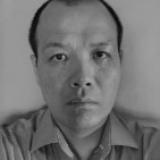 He graduated from China in the year 1980 and moved to Australia as a GP in the year 2000. He is a S100 prescriber. His main interest of practices are HIV, Hepatitis C and Drug & Alcohol management. Currently he practices in Darlinghurst, Eastwood and Northmead in NSW.